Animals declare their love and devotion for their little ones in all kinds of ordinary and not-so-ordinary places. In When Do I Love You? each 2-page spread begins with the question, "When do I love you, little ___________?" Blanks are filled with all kinds of animals such as duck, moose, dog, raccoon, and more. Each answer points to somewhere the animals go together or something the animals do together. Examples include riding in a truck, sitting in a caboose, sailing on a boat, walking through the city, and so on. 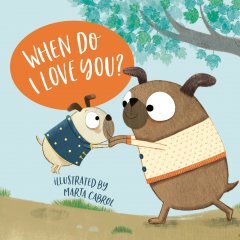 When do I love you little dog? When we're trotting through the fog! Text continues with two more rhyming sentences that either assure the little ones of their parent's love and devotion or explain the fun they'll have together. I'll call your name. You can count on me. After reading through 9 different little animals, you come to the very last page which shows a human mama holding her toddler. It's the perfect ending with the mama telling her child that she'll love her today, tomorrow, whenever, and forever! Sweet book with a heartwarming message. 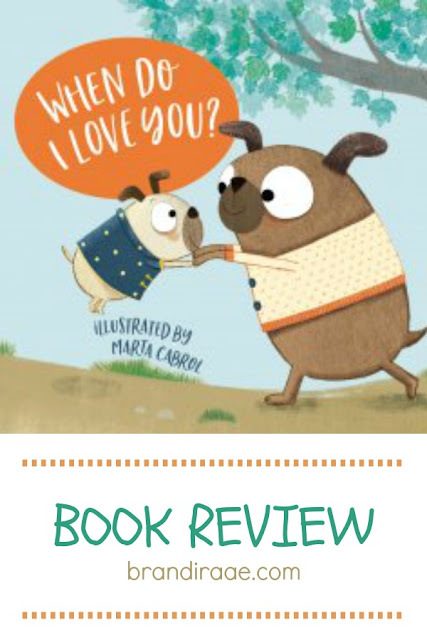 All children need to be assured of a parent's or guardian's love, and this book gets the message across in a fun, child-friendly way. With only 20 pages and simple, rhyming text, this book is perfect for toddlers and preschoolers. And it's great for reading any time of the day! I love the charming illustrations. They're simple with a touch of whimsy. Plenty of color, yet the colors are muted and have a chalk-like appearance which gives the book a cozy, rustic feel. This particular story doesn't mention anything about God, which is totally fine. However, after reading the book, it could be an opportune time to mention God's perfect love for us. If I could go back in time and snuggle my kids while reading this book, I might ask something like, And do you know who loves us the most? God does! Or something like that. Board books are such wonderful gifts for new moms or moms-to-be. I'm so glad relatives gave my kids lots of books - such a treasure and worth keeping forever. :) When Do I Love You? is a winner in my opinion.